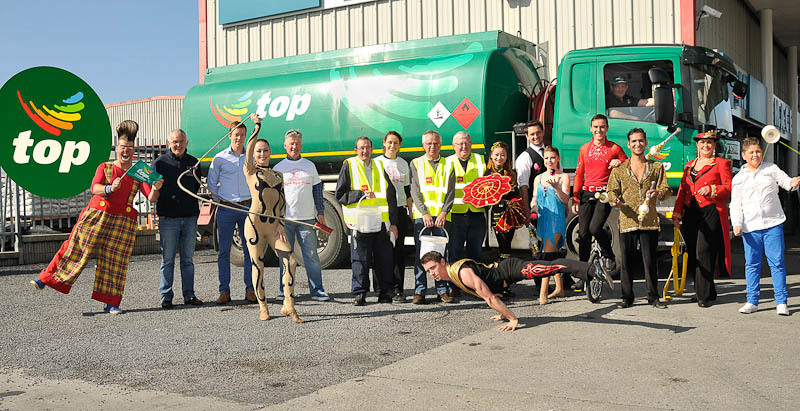 TOP Oil Fundraising Car Wash Day in support of Mayo Cancer Support Association, Rock Rose House, Castlebar, Gerry Winstone and John Barrett with Allannah Fossett ,Wang Dan, Sarah and Otto the Clown ,members of Fossett’s Circus joining in the fun. Photo © Ken Wright Photography 2014. 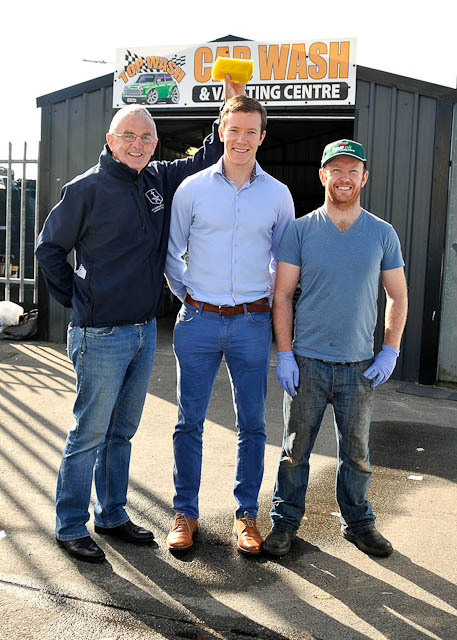 TOP Oil Fundraising Car Wash Day in support of Mayo Cancer Support Association, Rock Rose House, Castlebar, Noel Vahey, Rock Rose House, Eugene Connolly and Padraic Barrett, Manager of Services, pictured with members of Fossetts Circus, also in the picture Donal Vaughan Mayo team player and Top Oil staff . Photo © Ken Wright Photography 2014. 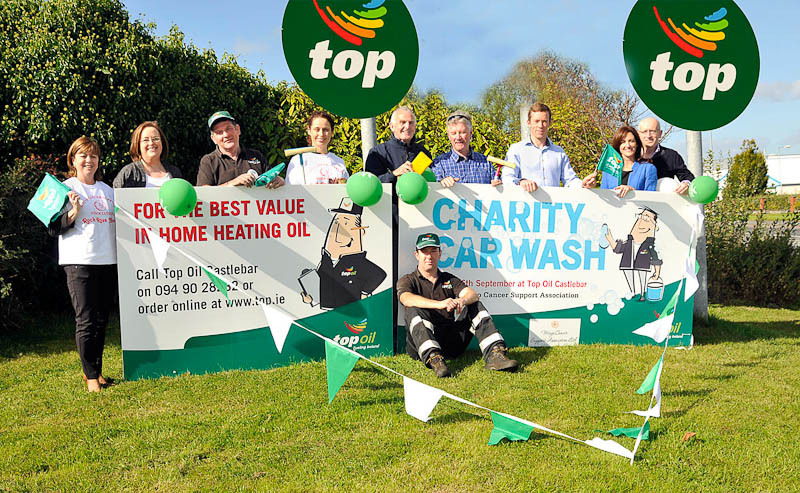 TOP Oil Fundraising Car Wash Day in support of Mayo Cancer Support Association, Rock Rose House, Castlebar, Martin Carney, Donal Vaughan, Mayo team player and Declan Duffy . Photo © Ken Wright Photography 2014.